The flooring of cork is a kind of exclusive thing in the world of interior and a brilliant solution for those who appreciates the ecological repair. Cork has a light and flexible structure, yellowish-brown hue, noise-reducing qualities, thermal insulation, and its special softness. On top of that, cork is highly resistant to various influences of household chemicals. These and other advantages, as well as its minuses will be fully described in this kitchen cork floor types overview. This amazing building material made of cork oak bark and turns into a veneer in the form of separate boards or agglomerate (pressed cork chips or a combination of veneer and agglomerate). Veneer is usually the most expensive material for the flooring and requires careful selections of boards by color. A special feature of agglomerate is the presence of such components as plasticizers, which are added in the compaction process. It was this nuance to put a cork in the average grade of environmental scale. But agglomerate is affordable to a wider range of customers than solid cork veneer. floating cork floor or as it is also called, cork flooring, – is a panel of 900×185 size, glued to the MDF based on the same tongue and groove principle as well as the laminate. A variety of floor coverings are used for kitchens: traditional or old ways of finishing to the most modern and unusual surfaces. This can be traditional tiling, linoleum and laminate or varnished parquet. 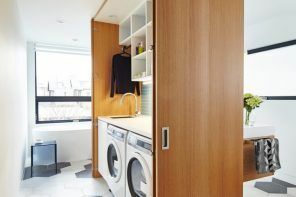 However, the floors in the kitchen of the cork always looked and will look very presentable, costly, and most importantly – would be comfortable and environmentally friendly. constant eco friendliness of cork floor will always please its hosts with hypoallergenic properties. the upper decorative and protective coating may wear off on the frequent use, and the attrition should be painted with something or you’ll have to change the boards with new ones. 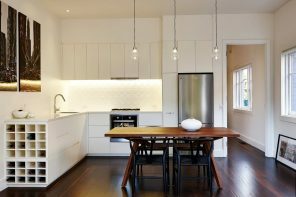 As with any building material, cork flooring has a number of pros and cons. 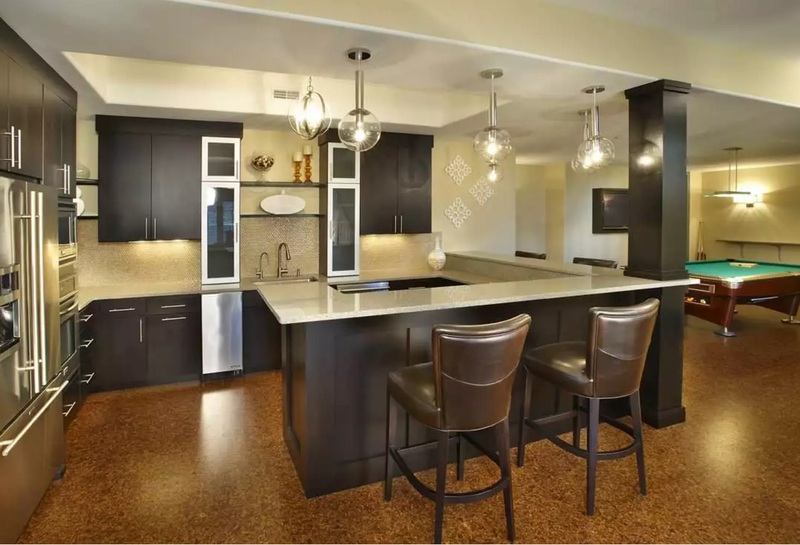 Therefore, before purchasing such type of flooring you should be already prepared for the dents caused by the furniture (however, they disappear on a quality cork), or to periodic updates of abrading portions of the cork floor in the kitchen. For the rest, the cork floors in the kitchen will always create an unforgettable atmosphere of warm and cozy home!